If only human emotion was always this easy to discern: In Sevdaliza’s new video for “The Valley,” the Iranian-Dutch musician stares blankly into the camera, alternately providing a wry smile, dry looks of discontent or straight up apathy. The video, directed by Zahra Reijs, highlights the brooding, industrial beat that reminds equally of Aphex Twin, Nine Inch Nails and Tim Hecker. Sevdaliza also announced an EP, Children of Silk, scheduled for release on November 18. 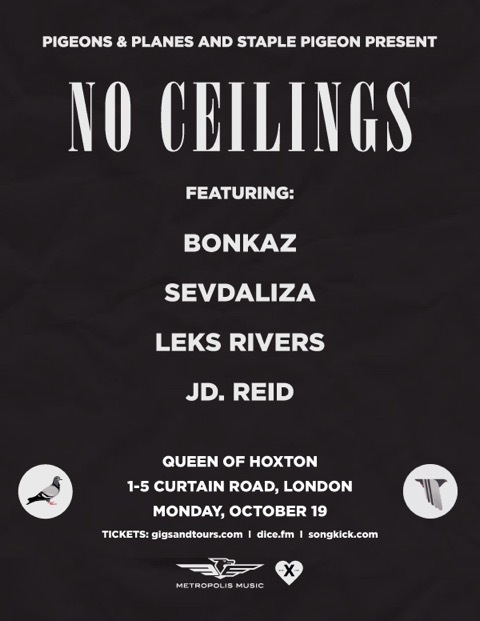 Sevdaliza will be performing next Monday, October 19, when we bring No Ceilings to London for the first time. Buy tickets here.